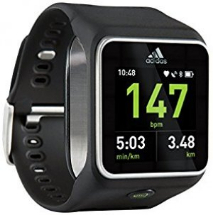 Adidas watches are designed with extraordinary passion for the sporting lifestyle, from a brand that has long been synonymous with products that are not just fashionable but that help athletes feel better and play better in comfort and style. Precision timekeeping is a vital aspect of most sports and as such this Adidas watch collection brings you trademark accuracy along with a sporting yet contemporary urban-inspired hip-hop style. Adidas watches are made by the premium luxury watch-makers at the Fossil Group. As with all Adidas products, Adidas watches are created with an eye on shaping the future and establishing new benchmarks. Team spirit, dedication and perseverance are all important words in sport and equally the driving forces behind the creation of all Adidas sports and street lines. Sell Any Mobile is currently comparing 1 products of Adidas from UK's top recycling companies of Adidas that buys Adidas products. Currently we couldnt locate any recycling that is paying cash for your Adidas products or can trade in your Adidas items. We update our database of 1 mobile phones, gadgets, game consoles, tablets, television, video games & mp3 players almost every 2 hours to get you the best price you can get in UK. If we detect any recycler or company can buy your Adidas products for cash we will list them on our website.